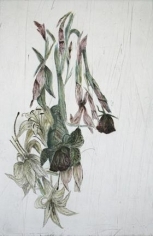 John Berggruen Gallery is pleased to present Major Prints, an exhibition of aquatints, etchings and drypoints by some of the most prominent artists of recent and contemporary history. Major Prints marks a rare opportunity to view en masse a selection of significant prints by artists Vija Celmins, Richard Diebenkorn, Walton Ford, Lucian Freud, Damien Hirst, Jasper Johns, Martin Puryear, Ed Ruscha, Kiki Smith, and Wayne Thiebaud. This exhibition opens Thursday, October 4 and will run through Saturday, November 3, 2007. Vija Celmins (Latvian/American, b.1938) moved with her family to a refugee camp in Germany in 1944 before immigrating to Indiana in 1948. Celmins eventually found her niche living and working amidst the coastal landscapes of California. She began study at the University of California, Los Angeles in 1963 where she received a Master's Degree in Fine Art in 1965. 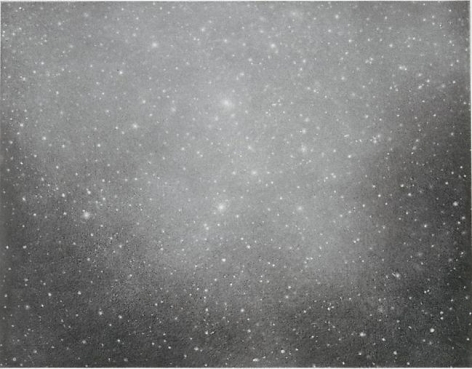 Since then, Celmins has gone on to create a point of simplicity in her work, emphasizing process over meaning. 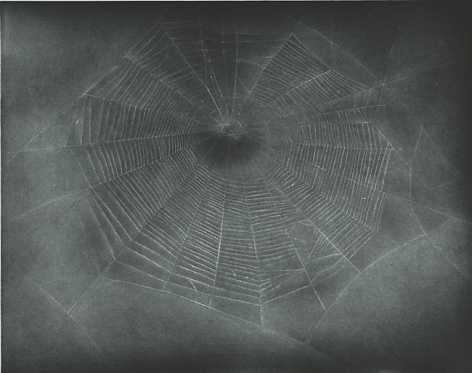 Inspired by photorealism and driven by the construction of her surroundings, her prints infer nature's simple forms yet address their complex creation. Her first solo exhibition took place in Los Angeles in 1966. 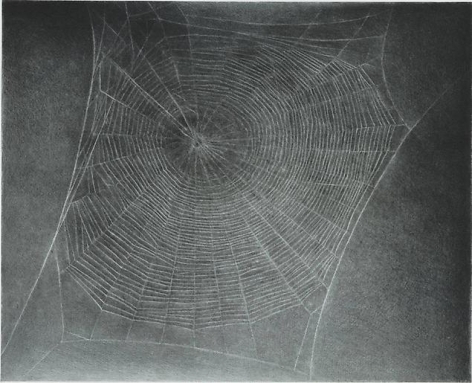 Between 1992 and 1994, Celmins was the focus of a mid-career retrospective organized by the Institute of Contemporary Art at the University of Pennsylvania, which traveled to the Henry Art Gallery at the University of Washington, the Walker Art Center, the Whitney Museum of American Art, and the Museum of Contemporary Art, Los Angeles. She also has had solo exhibitions at the Newport Harbor Museum, the Corcoran Gallery of Art, the Institute of Contemporary Arts in London, the Museo Nacional Centro de Arte Reina Sofia, the Kunstmuseum Winterthur, Switzerland, and the Museum fur Moderne Kunst, Frankfurt am Main. In 2002, she was honored with a retrospective of her prints at the Metropolitan Museum of Art. Celmins currently lives and works in New York City. Richard Diebenkorn (American, 1922- 1993) lived and worked in various locations in the United States, but it was Northern California that kept a stronghold on him for most of his prolific career. Diebenkorn became an important figurative painter by the mid-1950s in a style that lay somewhere between Matisse and Abstract Expressionism. However, it was his return to abstractionism that has left us with images of unforgettable color and continuity, making rugged yet elegant depictions of the scenes Diebenkorn admired from Ocean Park and the Bay Area. Born in Portland, Oregon in 1922, Richard Diebenkorn was educated at Stanford, UC Berkeley and California College of Arts and Crafts. 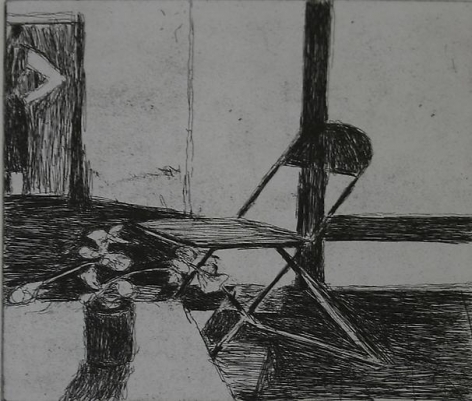 Diebenkorn earned his M.A. from The University of New Mexico in 1952 and in 1986 he received an award from The American Academy and Institute of Arts and Letters. 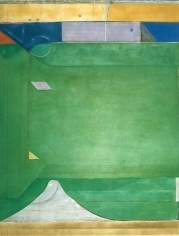 Richard Diebenkorn's work can be found in a number of important public and private collections, including the J. Paul Getty Trust, the Solomon Guggenheim Museum, the Smithsonian Institution, the Art Institute of Chicago, the Museum of Modern Art in New York, the Whitney Museum of American Art, and the San Francisco Museum of Modern Art. Originally from New York, Walton Ford (American, b. 1960) made his way to the Rhode Island School of Design for a degree in filmmaking. After spending a year abroad in Italy, he became inspired by Renaissance Art and decided to change direction almost entirely. Utilizing the techniques of the old masters, Ford creates a narrative between nature and its correlating social implications. 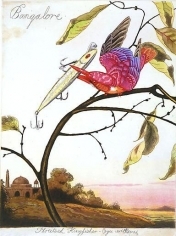 Flora and fauna become fodder for satirical statements on the history of colonialism and the wrongdoings of the nineteenth century's industrialists. Ford eventually moved his studio to Massachusetts after over a decade of New York City living. 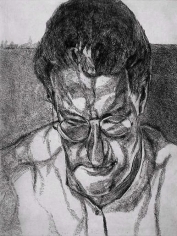 Lucian Freud (German, b. 1922) is the son of Jewish parents and grandson of psychoanalyst, Sigmund Freud. Revered as one of the great figurative painters of this century, he utilizes muted colors and embraces the naturally aged human form. Freud spent much of his scholastic career in Britain where he refined his skill for depicting "autobiographical" pieces of his subjects: friends, family, fellow painters, and lovers. He was a finalist for the 1989 Turner Prize but was shortlisted due to his predilection towards a traditional and representational style. His imagery still persists as some of the most haunting and emotionally driven portraiture to date. In 1996, Abbot Hall Art Gallery mounted a major exhibition which was followed in 2002 by a large retrospective at the Tate Britain. Damien Hirst (British, b.1965) is one of the most prominent and internationally recognized members of the Young British Artists a group of conceptual painters and sculptors whose rise to fame was sparked by a 1992 exhibition of the same title at the Saatchi Gallery in London. Today, Hirst's name is synonymous with formaldehyde-entombed dead animals, diamond-encrusted skulls, spin paintings, and spot paintings - prints of which are on display here. 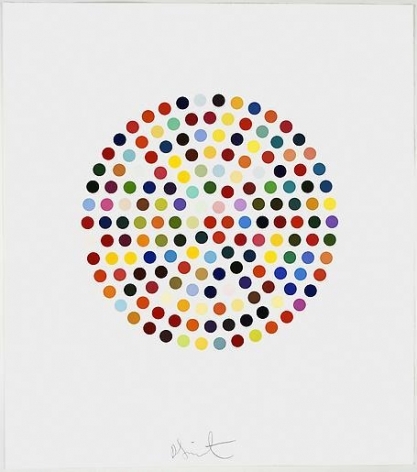 Damien Hirst was born in Bristol, UK, attended Goldsmiths College, and currently lives and works in London and Devon. He has participated in numerous group exhibitions including Into Me / Out of Me at P.S.1 Contemporary Art Center, New York in 2006, In-A-Gadda-Da-Vida at Tate Britain in 2004, and the 50th Venice Biennale in 2003. He has had solo exhibitions at such institutions as the Astrup Fearnley Museet fur Moderne Kunst, Oslo, Museum of Fine Arts, Boston, and the Archaeological Museum in Naples, as well as a 2007 exhibition at London's White Cube. He received the DAAD fellowship in Berlin in 1994 and the Turner Prize in 1995. Most recently, Hirst has set a new auction record for the most expensive work sold at auction by a living artist, when his Lullaby Spring sold for 19.2 million dollars. Jasper Johns (American, b. 1930) is one of the most historically important artists living today. 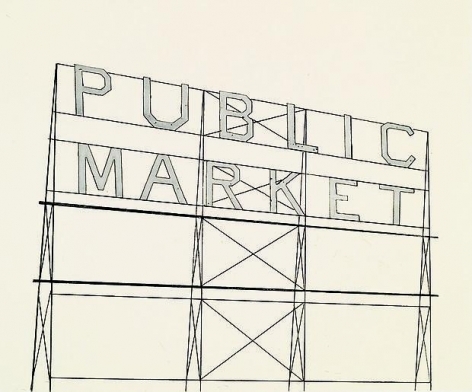 Although he is not primarily a print-maker, Johns is closely associated with fueling the popularity of the art form. 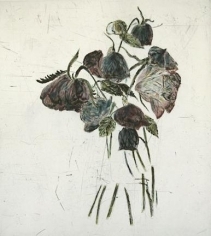 Johns was introduced to lithography in 1960 through an invitation by Tatyana Grosman to produce prints at the Universal Limited Art Editions (U.L.A.E.). Initially hesitant to work with what was then considered an antiquated medium, Johns was lured to the U.L.A.E. 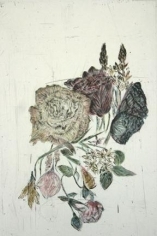 by friend and artist Larry Rivers, who famously promised that "prints helped pay the rent." While Johns's first completed print was Target (1960), his inaugural attempt at print-making took the form of the symmetrical and easily configured number zero. Since then, he has produced more variations on numerals than on any other subject matter - totaling over 150 paintings, sculptures, and series of prints including the works featured in this exhibition. 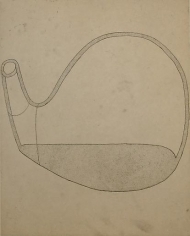 These works attest to Johns's innate obsession with repetition and difference, the socially constructed and historically bounded nature of language and symbols (numbers), and the notion that prints can be as personal and unique as other forms of art existing in his oeuvre. Johns was born in Georgia and grew up in South Carolina, where he attended the University of South Carolina before moving to New York City in 1949 to study at Parsons School of Design. In 1952 he was drafted into the army and served in Japan during the Korean War. Upon his return to New York in 1954, he began his series of American flag paintings. 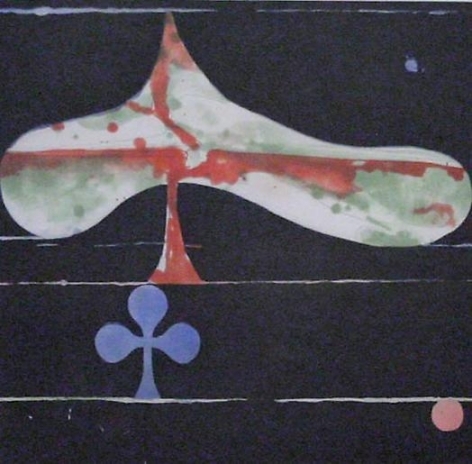 These flags were the basis for his first solo exhibition, held in 1958 at the Leo Castelli Gallery. 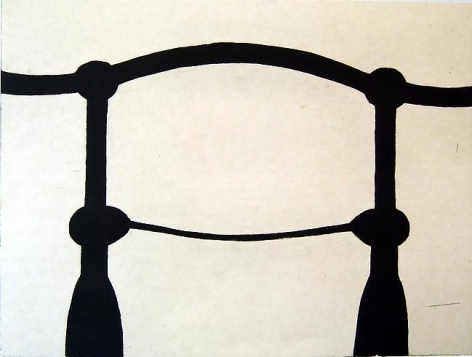 The work of sculptor Martin Puryear (American, b. 1941) is often referred to as a union between minimalism and the traditional craftsmanship he spent his childhood studying. 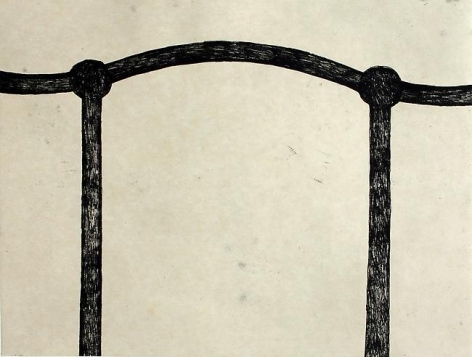 Puryear predominantly works in media such as stone, wood, wire, and tar. 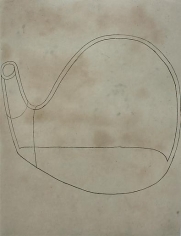 His prints reflect the organic shapes and architectural aesthetics that inform the majority of his sculptural works, most obvious here in the fine lines and vessel-like forms of Shoulders, Untitled III, and Untitled V. Puryear was born in Washington D.C. and graduated from the Catholic University of America there before joining the Peace Corps and traveling to Sierra Leone between 1964 and 1966. 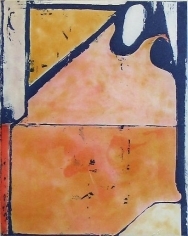 He received his MFA in sculpture from Yale University in 1971 after spending two years studying printmaking and sculpture at the Swedish Royal Academy of Art in Stockholm. He has taught at Fisk University in Tennessee as well as the University of Maryland. 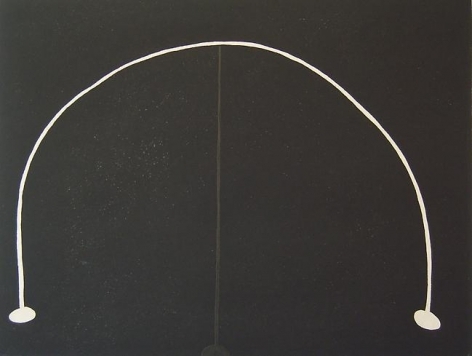 Puryear has exhibited at numerous museums and galleries across the United States and internationally including the Hirshhorn Museum in Washington, D.C., the Philadelphia Museum of Art, the Art Institute of Chicago, the 1989 Bienal de Sao Paulo, where he was the grand-prize recipient, and Documenta (1992) and is currently the focus of a major retrospective beginning at the Museum of Modern Art in New York in November 2007 ending at the San Francisco Museum of Modern Art in early 2009. 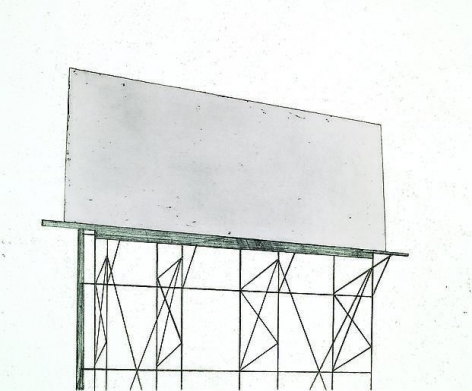 Edward Ruscha (American, b. 1937) is a painter, printmaker, photographer, filmmaker, and a founding father of the Pop Art Movement in California. He is most notably known for his paintings and prints that use the written word and the landscape of Southern California as their central theme. 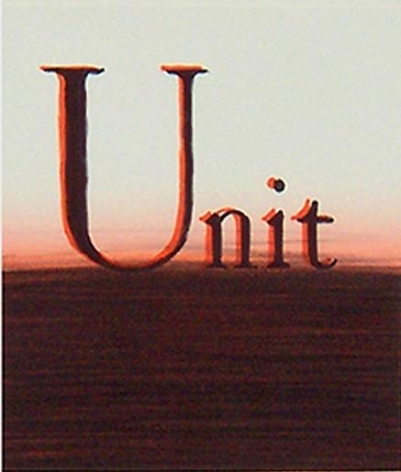 Despite his attachment towards all things California, Edward Ruscha has been referred to as one of the most internationally renowned American artists. He was born in Nebraska and raised in Oklahoma City before moving to Los Angeles to study at the Chouinard Art Institute (now known as the California Institute of the Arts) between 1956 and 1960. By the early 1960s he was well known for his close association with the Ferus Gallery (which represented artists Robert Irwin, Edward Moses, Ken Price, and Edward Kienholz), and by the early 1970's he was the focus of solo exhibitions at New York's Leo Castelli Gallery. 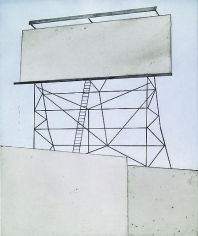 Today, Ruscha's work is included in numerous public collections such as the Hirshhorn Museum and Sculpture Garden, Washington, DC, the Museum of Modern Art, New York, the San Francisco Museum of Modern Art, the Tate Gallery in London, the Whitney Museum of American Art, New York, the Metropolitan Museum of Art, New York, and the Stedelijk Museum in Amsterdam. 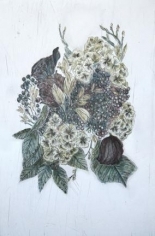 Born in Nuremburg, Germany in 1954, Kiki Smith began her artistic career by participating in COLAB (Collaborative Projects), a New York-based cooperative that consisted of over forty artists by the mid-1970s. Smith's early career included solo exhibitions at the Dallas Museum of Art (1989), the MAK Galerie (Vienna, 1991), the Louisiana Museum of Modern Art (Humlebaek, Denmark) and the Fawbush Gallery in New York. In 2005, the Walker Art Center organized a traveling retrospective that moved on to the San Francisco Museum Art. 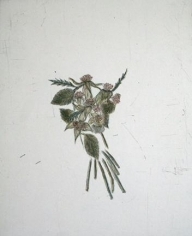 Other recent solo exhibitions have included: Convergence at the Irish Museum of Modern Art, Dublin; Directions, Kiki Smith: Night at the Hirshhorn Museum and Sculpture Garden, Smithsonian Institution, Washington D.C; and Invention/Intervention: Kiki Smith and the Museums at the Carnegie Museum of Art, Pittsburgh. 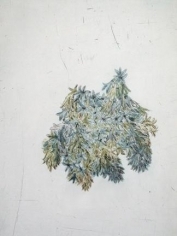 Kiki Smith's work can be found in over thirty-five national and international public collections. 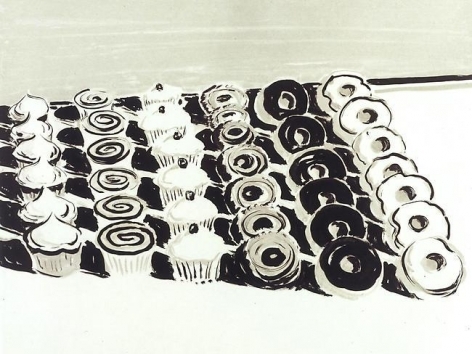 Wayne Thiebaud (American, b. 1920) is one of the most prominent members of the Bay Area Figurative Movement, although his work is often associated with that of the Pop artists and photorealists because of his keen interest in quotidian objects and intermittent use of true-to-life representation. 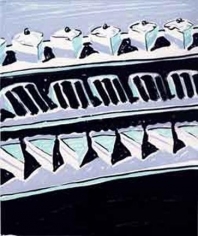 Thiebaud's most famous works are of cakes, pastries, lipsticks, toys, and stylized cityscapes, subject matter that has made its way into all aspects of Thiebaud's work, particularly his paintings and prints. This continued re-use of popular objects attests to Thiebaud's fascination with how classic images change with different mediums and with shifts in scale. 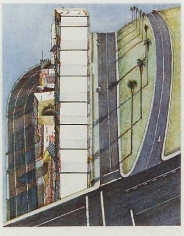 Thiebaud was born in Arizona, but moved to Long Beach, California in his youth. He received his Master's degree in 1952 from Sacramento City College and became an assistant professor at the University of California, Davis in 1960. 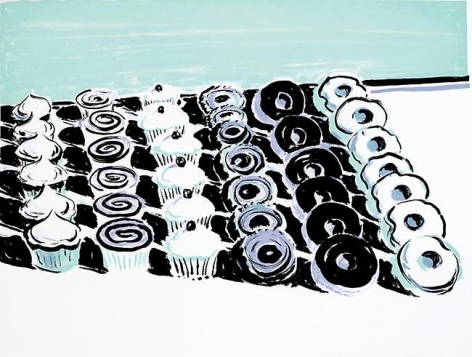 Thiebaud has been exhibited internationally since his first solo exhibition at the San Francisco Museum of Modern Art in 1960. In 2001, he was the focus of a major retrospective that was organized by the Fine Arts Museums of San Francisco's Legion of Honor, and traveled on to the Whitney Museum of American Art, New York City, The Phillips Collection in Washington, D.C, and the Modern Art Museum of Fort Worth, Texas. Wayne Thiebaud is a recipient of the National Medal of Arts and a member of the American Academy and Institute of Arts and Letters. His work is included in the collections of major museums in the United States and abroad.